This is the end of an era for me. This is the day that Batman died. And by Batman I mean Adam West, who just passed away at the age of 88. During the psychedelic 60s when I was a 2nd grader in a flyspeck of a town in New Jersey, one of my favorite comic books suddenly came to life in brilliant color on television. Batman back then wasn't a dark and foreboding fellow riven with anger down in his batcave, brooding over the senseless deaths of his parents. Instead, he was a detective (the world's greatest!) armed with gadgets who dressed in a blue, light grey, and yellow costume vaguely reminiscent of a bat. He was on good terms with the cops who were constantly calling him via bat-signal or beeping red bat-phone to solve the alarmingly frequent super-villain crimes of Gotham City. 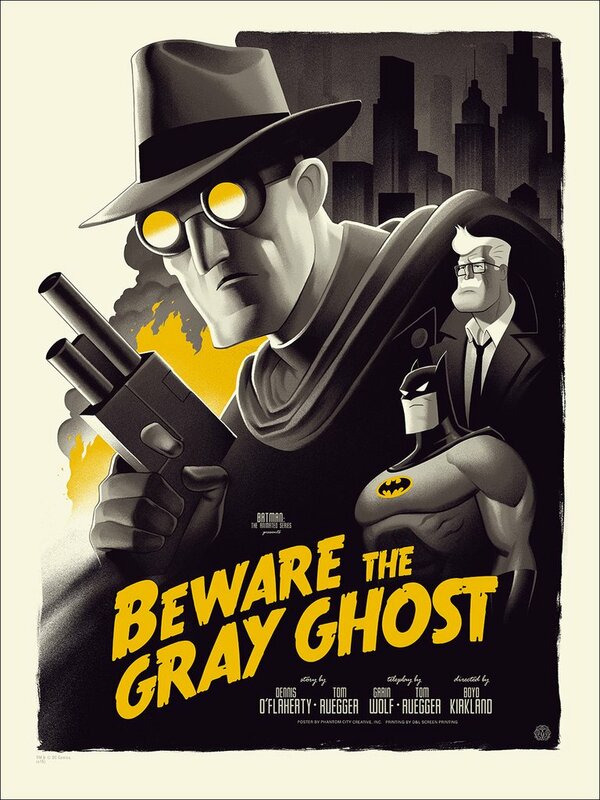 Batman at this point in his life wasn't scary or particularly mysterious (though no one knew who he was), just a colorful super-hero, like Superman over in Metropolis, who was probably his best friend. I owned quite a few of their comics. CAN BATMAN FIND HIM IN TIME? IS THIS THE GHASTLY END OF OUR DYNAMIC DUO? ANSWERS...TOMORROW NIGHT! SAME TIME, SAME CHANNEL! ONE HINT--THE WORST IS YET TO COME! Whaaaat??? I suffered through the whole next day! Until finally, after the longest Thursday in history, we tuned in to find Robin not dissected after all (only used to make a rubber Robin mask for special guest star Jill St. John to wear) and Batman all sobered up. Naturally he goes on to win the day, although poor Jill St. John perishes in the Batcave's nuclear reactor. Being 7 years old I took this all as straight adventure, never quite catching on that it was being played so deadly serious that it was hilarious to the adults. 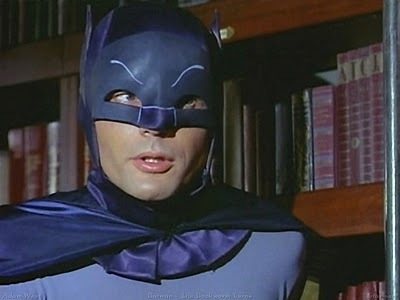 The utterly straight-arrow Batman played against the surreal atmosphere of the late 60's (which had a vibe even a kid could pick up on) was such a disjunction that Batman and Adam West became the hottest thing on television. Batman was such a vivid cultural event that, even though Bat-fever quickly drifted away like smoke, Adam West radiated it for the rest of his life. Try as he might he never really escaped the Bat. I remember reading in the 70s and 80s about how he raged against being typecast. But eventually he learned to embrace being the 1960s Batman, attending conferences and appearing with the super-cool 60s Batmobile. In 1992, West appeared in an animated Batman episode called Beware the Grey Ghost, portraying an actor who once had great fame as a TV superhero, but now was unable to find work due to being typecast by the role. In the end he helps Batman defeat a criminal and gains a new-found popularity with a younger audience. According to Wikipedia, the producers almost canceled the production because they felt it was uncomfortably close to Adam West's actual life. But West insisted on playing the character. One has to wonder if it was a sort of catharsis for him.